National Moving Claim Resolution Service specializing in claim reduction and the resolution of both local and interstate moving claims. As time has gone on, MovingScam.com has increasingly looked for ways to improve its ability to help the consumers and professionals who visit our website. To this end, we have decided to add Terry Cappuccio of Moving Claims Services to our list of moving services. We feel that adding Moving Claim Services will greatly enhance the experience of our visitors while providing another useful tool for those visiting MovingScam.com. Terry Cappuccio has been providing claim resolution in the moving and storage industry for over twenty years. Her expanded career from a Claims Adjustor and Sales & Marketing Manager to a General Manager has provided a wealth of knowledge regarding the moving industry and in particular moving claim resolution. Certified with the American Moving & Storage Association as a Certified Claims Analyst and a Certified Moving Consultant, Terry’s inherent sense of fair and right combined with her desire to provide an independent impartial option for claim resolution was the drive that established Moving Claim Services. Her passion, expertise and savvy are a rare combination. 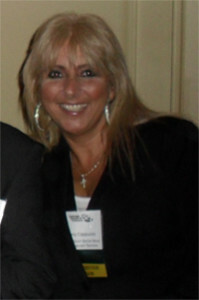 Terry’s unique ability to retain customer loyalty even in the event of a difficult claim has earned her the recognition as one of most sought after claim specialists in the industry. Copyright 2019 Movingscam.com. All Rights Reserved. Terms & Conditions. Proudly Hosted by NuggetWeb.com.